With the warmer weather around the corner, it’s time to put your sneakers back on and enjoy the outdoors. Are you a runner that enjoys the trails or do you appreciate the serenity of getting away from the mundane daily routine by running on the road? There is nothing like getting away from the daily routine of life. Recently, I have found some time to get away to go for a run with the rugged trails…a reminder of my Cross Country days. At The Right Shoe, we are happy to offer our customers the Capra Bolt from Merrell and 840 GR3/BB3 by New Balance. Let’s get outside with Merrell with t he Capra Bolt made for high-adrenaline hikes. The Capra Bolt offers Merrell Trail Protect™ pad for additional protection for off the road with synthetic and breathable mesh lining with M-select GRIP. Merrell M select Grip outsole delivers performance and durability that is highly slip-resistant traction on the wet and dry ground that is made for mixed terrain. 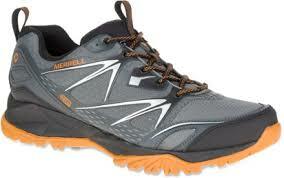 So, take away the stress of the day and go on a high adrenaline hike with the Capra Bolt by Merrell. Get all the benefits of running on the trails that are less stressful on the body than the pavement on the street. Go the Distance with The New Balance 840 GR3/BB3 in both men’s and women at The Right Shoe. 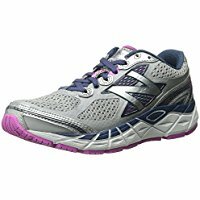 Hit the pavement of the streets in the NB 840 GR3/BB3 in a full length full-length, premium underfoot cushioning neutral runners will love when they are on the road. While on the road your feet will Thank You, for the Full EVA (Ethyl Vinyl Acetate) Strobel board to take the impact off the body of the road pavement. Discover the Outdoor with New Balance 840 GR3/BB3 and the Capra Bolt by Merrel locally at The Right Shoe by you. 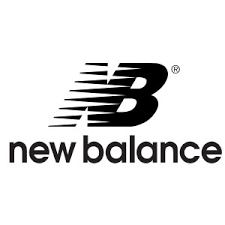 Stop in a pick up a pair of New Balance 840 and Merrell today, located at York, Lancaster, and Lititz Pennsylvania. Hey! Love your shoes, currently obsessed with a pair of black ones. But I was wondering if you could possibly write a similar blog post for women’s collection?